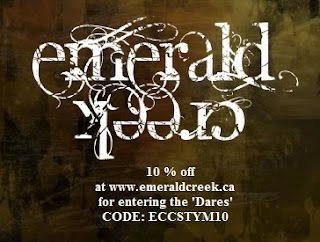 Emerald Creek Dares: Singing In The Rain... New Monthly Dare and Challenge Winners! Hello friends! Karla here today to announce this month's theme - Singing In The Rain. This year we are focusing our challenges on some of Kim's favourite songs, and this month that song is Singing In The Rain from the 1952 movie with Gene Kelly and Debbie Reynolds. I still love watching these old movies and this is a great song! Our April Dare is to challenge you to create a project that is inspired by rain, water, music... you get the idea! Click the link below to listen to this awesome song. For this challenge I decided to create an alcohol inked background with an altered frame for my sister's birthday. 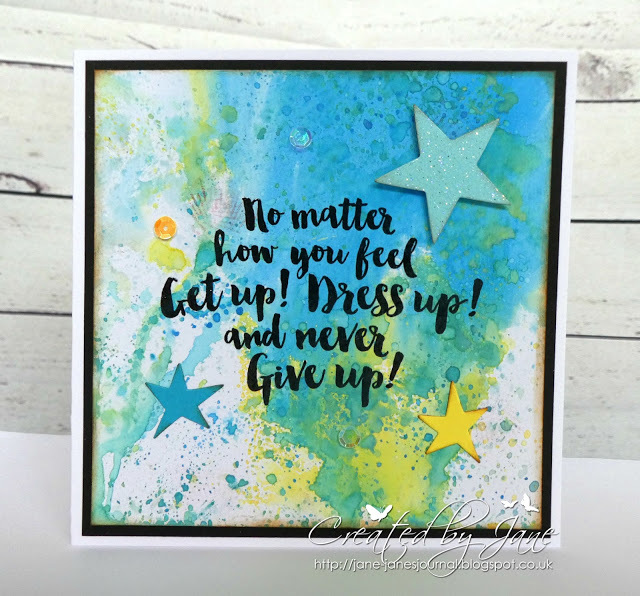 I started off by applying alcohol inks in various colours to Yupo paper, using a felt pad with an applicator to sponge some directly on the background and dropping some onto the paper. I added drips of Blending Solution in areas and really just continued until I liked the effect. I used Hammered Metal Embossing Powder to emboss the classic Tim Holtz umbrella man stamp and carefully embossed with my heat gun - being careful to not overheat. 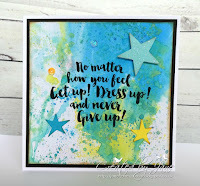 I used Ranger Archival Inks in the new Tim Holtz colours to add flowers, a sentiment and music notes to the background. I lightly heated again to dry the ink. For the frame I painted a wooden frame with Seth Apter's Butter Paint. I had originally created a mixed media frame, but I didn't feel like it matched the inside, so I painted over the whole thing! That's the great thing about paint, and it's always ok to start over if you're not happy. 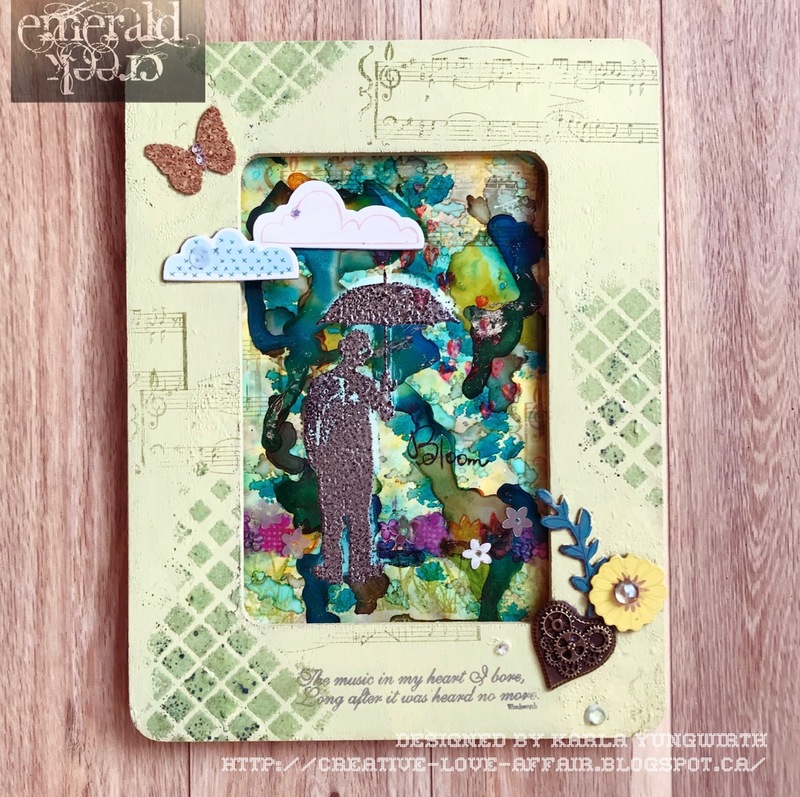 I used a Tim Holtz stencil and added embossing ink through it with the Ranger Emboss It Dabber before adding Seth Apter's Baked Velvet Aegean Sea Embossing Powder. I love the flecks of blue in this gorgeous green powder! 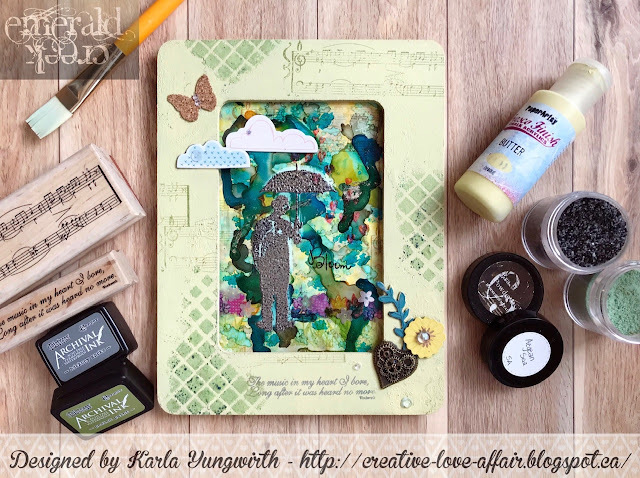 I used the Tim Holtz Archival Inks to add music stamps to various areas of the frame. I decided to remove the pink twine and replaced the painted heart with a plain heart from a button pack. I added sequins and gems to the background and frame with Ranger Matte Medium. A little cork butterfly and some chipboard cloud stickers lighten everything up. My sister absolutely loved her gift! If you haven't already been following Kim Evan's weekly Facebook live you are definitely going to want to check that out! She's got behind the scenes looks at what goes on to bring you the amazing products she creates, GIVEAWAYS!, tips for business owners and general awesome ideas! Be sure to follow the Emerald Creek Craft Supplies page and click on Videos to catch all the previous live episodes. March Ordinary Day Dare with her Wake Up Awesome entry. We love the positive message!! Jane please email Katelyn at info@emeraldcreek.co for your prize code.